Generally scotch whiskeys are good by itself or on the rocks but when it is mixed with Drambuie – a malt whiskey, honey, spices and herbs based liqueur, it becomes an out of the world cocktail with full bodied taste and smooth finish. Though this rusty nail drink recipe uses 3:1 ratio of Scotch to Drambuie so that resultant drink has right balance of aromatics, you can change it to suit your taste preference. 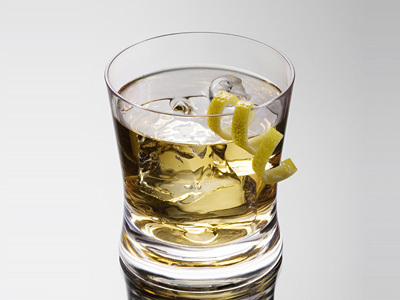 Stir scotch and liqueur with ice and strain into ice filled old-fashioned glass.